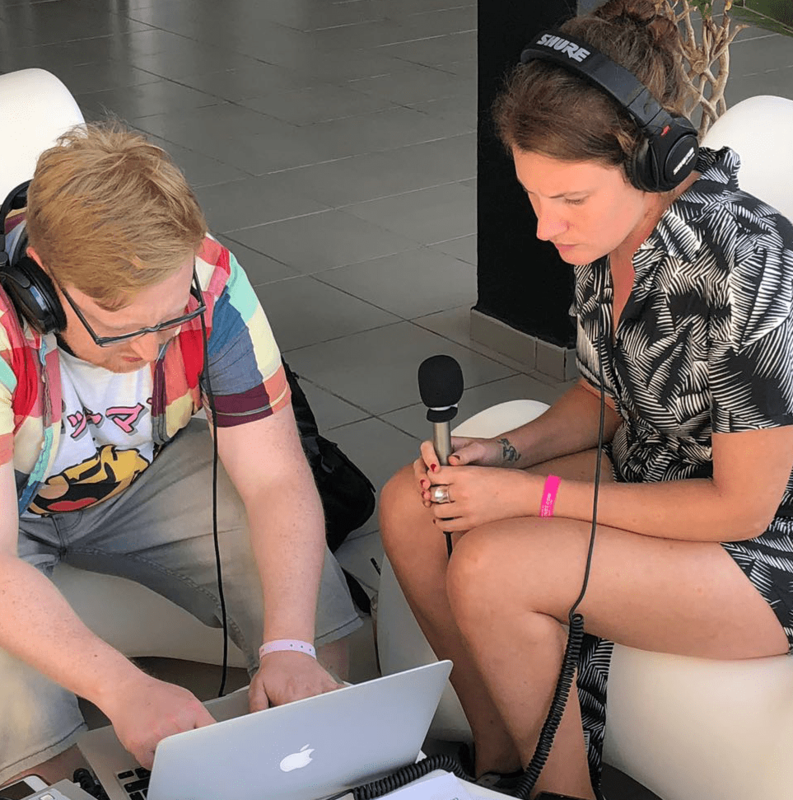 From securing a last minute interview with Bob Sinclar to sound recording for BBC 1Xtra, Ellen Orchard has had her work cut out for her working as a freelance Radio Producer for the BBC. Busy working on a number of projects, we caught up with Ellen to hear what she has been up to since graduating from our Sound Engineering and Design course. So Ellen before we get started, what first inspired you to get into the music industry? A mix of things, really. When I was little, my Dad worked at the BBC Television Centre in London and would often take me to work with him. I always loved the laid-back working atmosphere. When I was a bit older, I starting listening to Mark and Lard when they were on Radio One. However, it wasn’t until I revisited their stuff recently that I realised how creative their shows actually were. In all honesty, I think radio programmes these days are lacking what they had. From there, I decided it was an industry I wanted to get into. A few years down the line I went on to become a Live Studio Producer before going on to study Sound Engineering and Design. That must have been pretty cool then! So, what have you been up to since graduating? 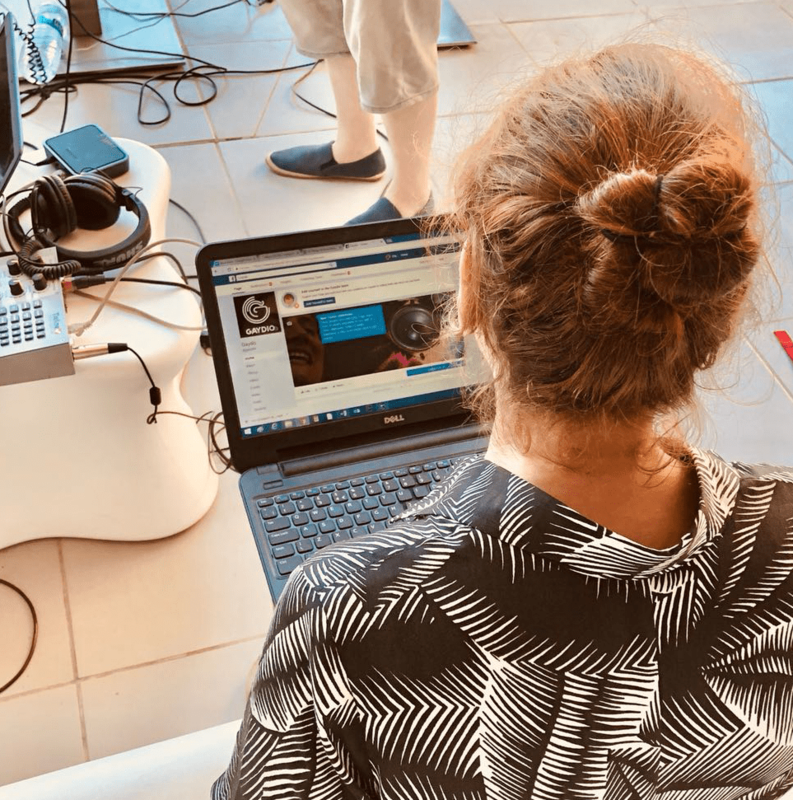 I’ve been working as a freelance Radio Producer and have been travelling and producing from places all over the world, including; Detroit, Ibiza, Vienna, Tel Aviv, and even from a cruise ship sailing around the Mediterranean. I have also been freelancing for the BBC; producing shows on BBC Radio Manchester and sound recording for BBC 1Xtra. I have also been working with some of the country’s biggest independent radio production companies to produce shows for Radio Two and BBC World Service. Well, you’ve certainly had your hands full. How are you finding it being a freelance Radio Producer? It’s bit of a rollercoaster. I never really know where I am going to be and sometimes I can’t be sure where the next pay check is going to come from. However, I know it’s not forever. By the end of the year, I’m hoping to get something a bit more permanent, but for now I’m enjoying living out of a bag with my tech kit. What do you enjoy most about Radio Production? It gives me such audio creativity. When I was in Ibiza, I pitched the idea of going to Café Del Mar for sunset. My presenter thought I was a bit mad and questioned how it would work on air. However, we decided to give it ago. We ran straight from the car, recording ourselves running down the street, and managed to make it just in time to catch hundreds of people lining the shore. When we arrived, ‘Nessun Dorma’ was blaring from the bar’s speakers and my mic gain went right up. It was the most epic closing link for the broadcast. Despite being a Live Studio Producer before my degree, I found learning the engineering side has really given me an advantage and has allowed me to tech produce and travel the world making radio. What would you say has been the most exciting thing you’ve worked on? Oh gosh. It was really exciting working for BBC World Service for the first time as it’s the biggest radio station in the world with 50 million listeners! However, working in Ibiza this year was also really exciting too. It was 4 days of hard work, but I managed to secure a last minute interview with Bob Sinclair and Ruby Murray from Britain’s Got Talent for the live programme. I was really proud of the soundscape links I managed to get. That’s incredible. What would you say have been your biggest challenges? Holding your nerve on live shows, definitely. It can be tough if the line goes down and you need solve the problem as quickly as possible on your feet. Also, being a woman in a male-dominated industry can be challenging. Sometimes, you battle with yourself more than anything because you feel like you need to prove yourself more. Luckily, I have always worked with amazing people. So just before you go Ellen, what’s next in the pipeline for you? Hopefully, I have another press trip to New York lined up for later in the year. I’m really looking forward to pitching some radio ideas when the BBC programme rounds come up later in the year. I’ve spent the last few months collecting some really good stuff on my travels. Fingers crossed, I’ll have the chance to produce a live show in the studio in September. Thanks for catching up with us, Ellen! We’re looking forward to hearing about what you do next.